1/48 scale Resin detail set. 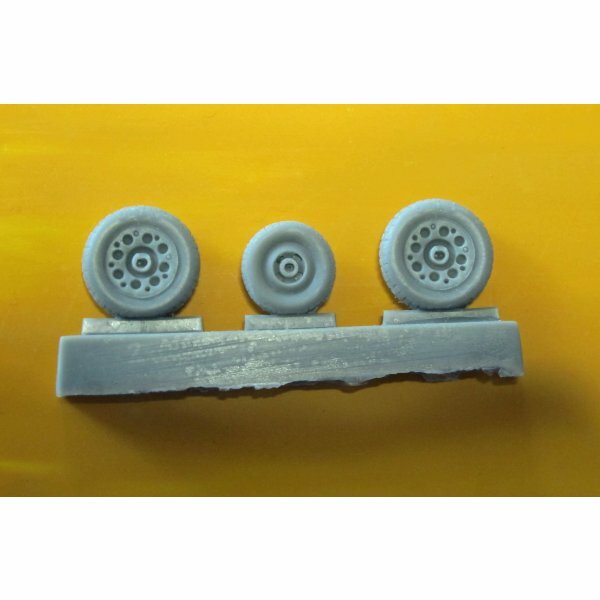 Block tread wheels for all versions of Gloster Meteor. Suitable for Airfix & Classic Airframes kits. Detail set only - A model kit is NOT included. Decals not included. Appropriate precautions to be used when working with resin products.